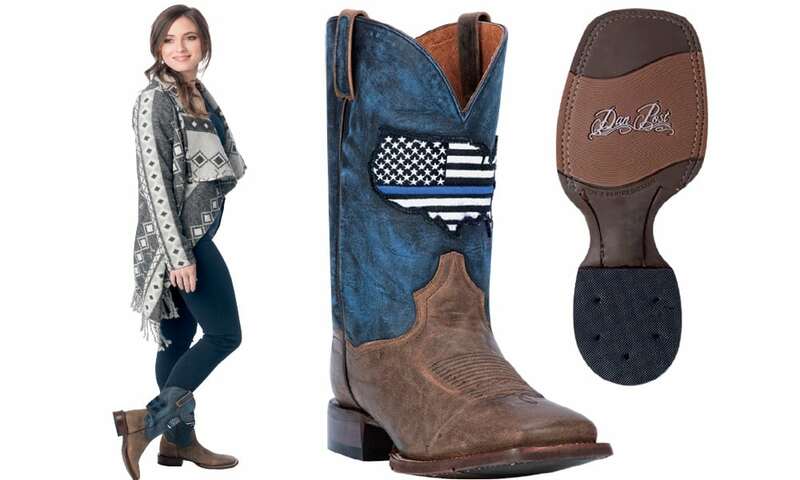 Dan Post honors America's policemen and women with stars & stripes and the color blue. The Thin Blue Line is a phrase and symbol used by law enforcement. It depicts a thin blue line, representing law enforcement, against a black background, and is commonly used to express solidarity with police, to commemorate policemen and women who have died in the line of duty, and to symbolize the relationship of law enforcement with the community as the protectors. 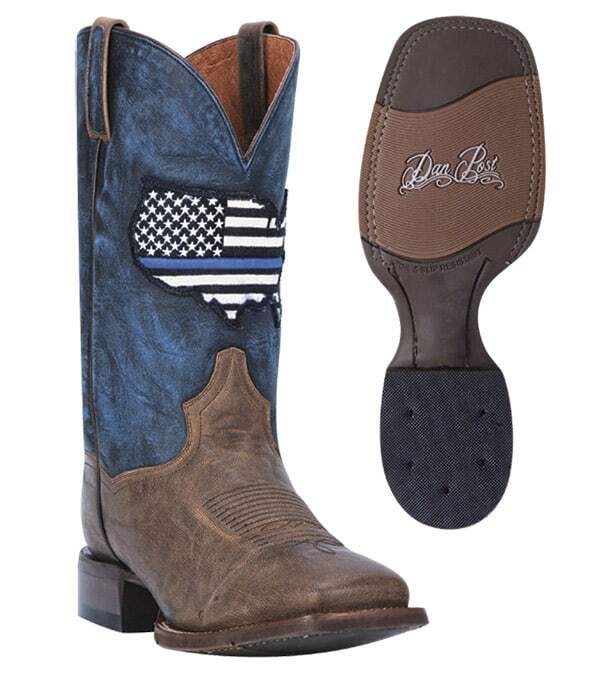 Dan Post, Thin Blue Line Boot, $245. With every purchase, a donation will be made to charities Nationwide supporting those who serve and protect America’s communities each and every day. Visit danpostboots.com for more information.